Summer activities, which are available to you at the destination of Bovec and for which we are certain, that you will enjoy taking them. 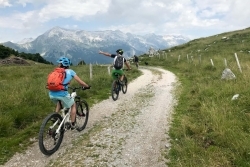 You can choose between water activities, cycling, hiking and fishing. 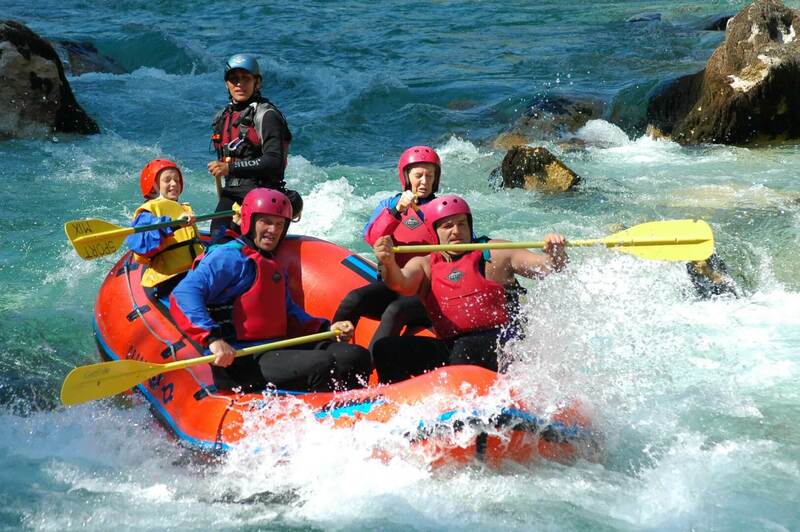 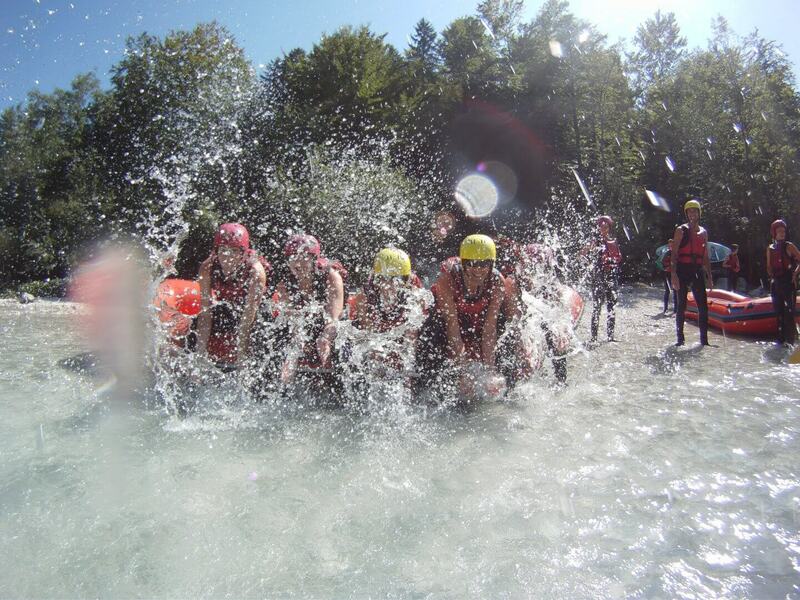 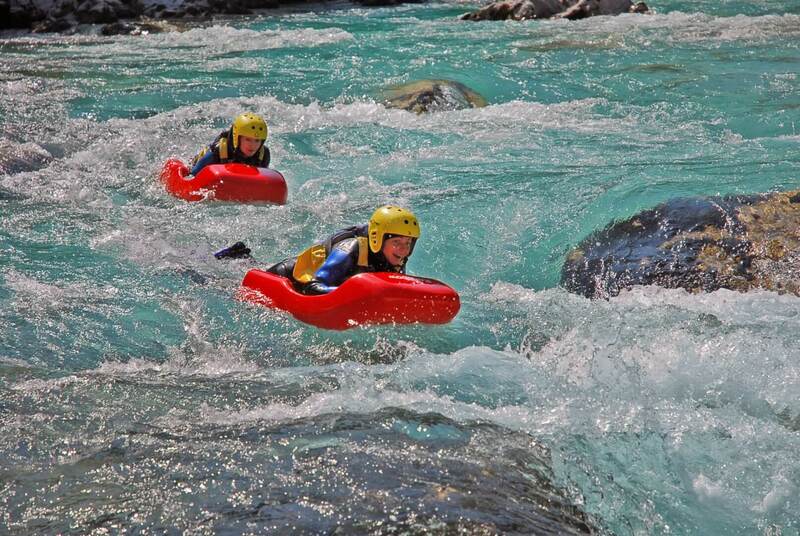 Spend hot summer days in chill water environment, test yourself in rafting, canyoning or riding with kayak. 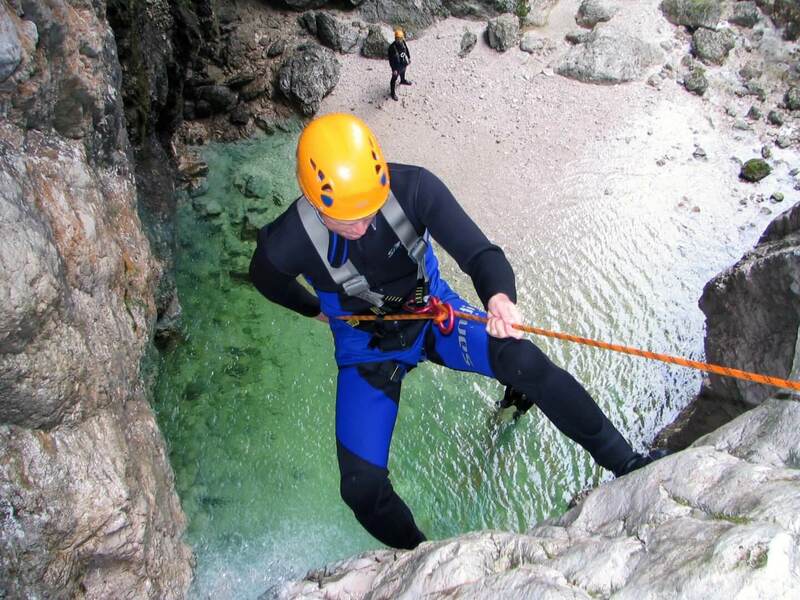 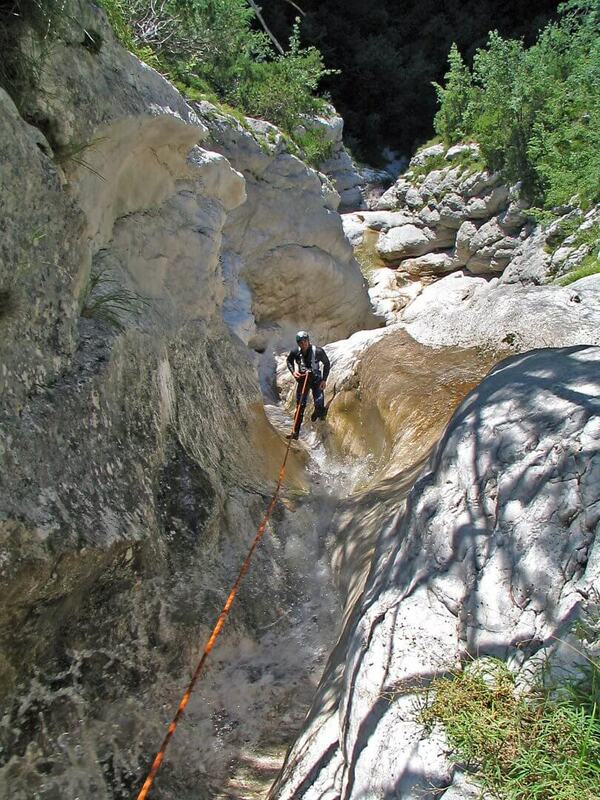 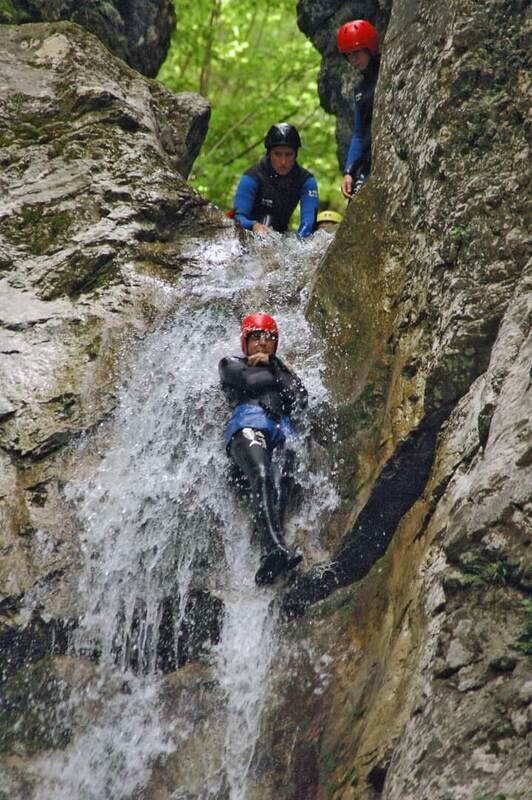 See and enjoy the picturesque canyons, crystal clear stream pools and waterfalls all this through canyoning. 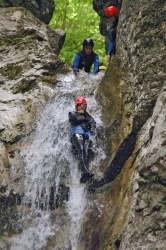 It is a wonderful way to see out beautiful nature in an active manner. 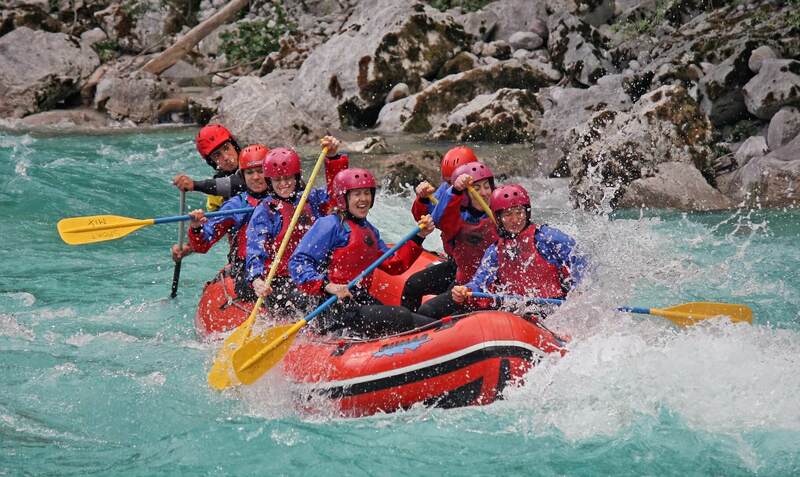 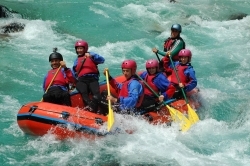 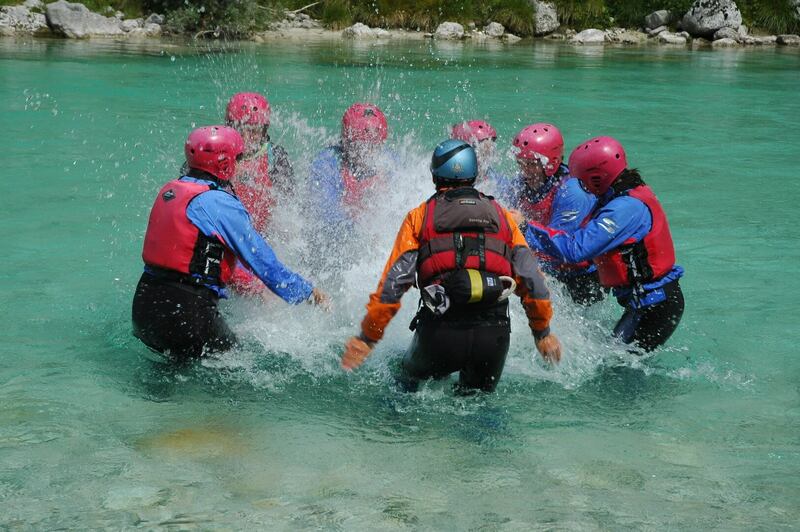 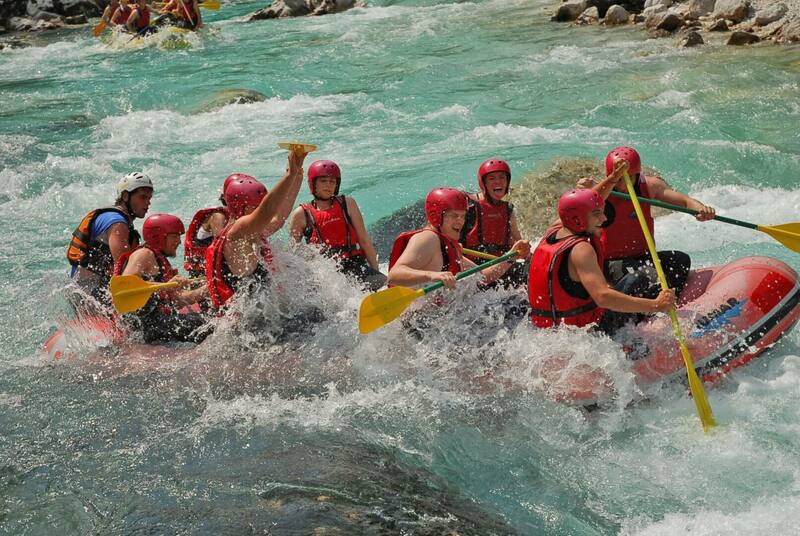 Rafting is perfect for those who crave water adventures, as navigating down the Soča river with its rapids can be an unforgettable experience for everyone, the young, the old(er), groups of friends or families with children. 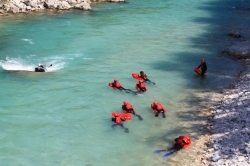 All the necessary equipment and gear are available at the agencies that organise the trips. 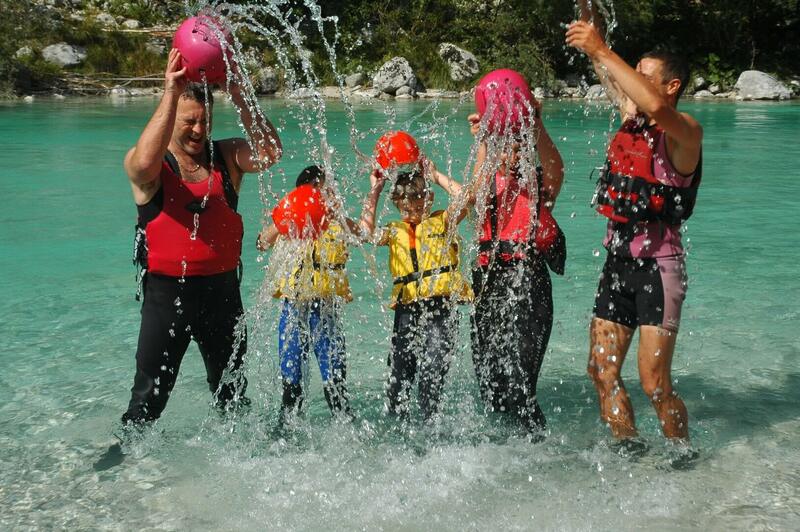 The only thing you need to bring are swimsuits, a towel, some extra clothes and the right mood. First part of this adventure takes part on an easier part of the river, so that the team has time to coordinate and master the needed paddling skills. 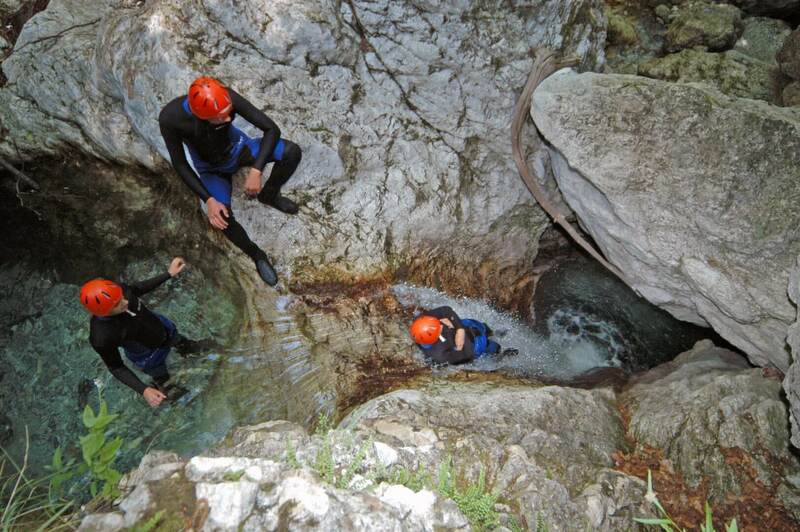 Then there’s time for a short break with swimming in crystal clear stream pool and a bit of sunbathing. 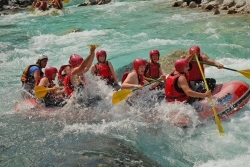 After the break comes the more attractive part of the adventure when the river-bed narrows and rapids increase. 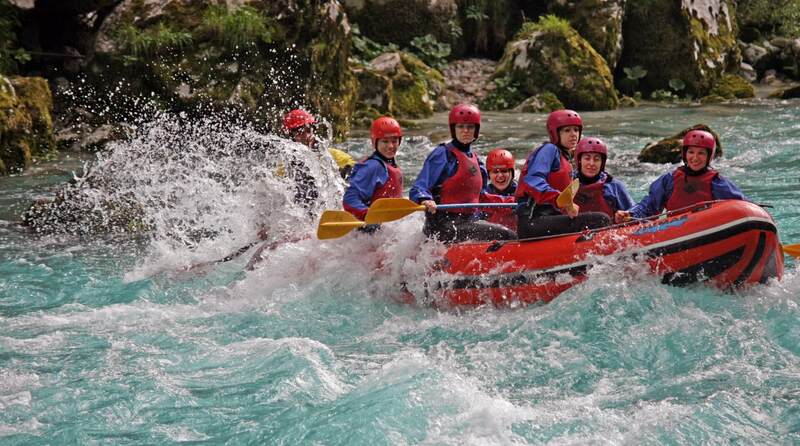 The Soča river with its affluents surely is one of the most beautiful European rivers. Kayaking gives you a chance to observe and discover the intact nature and the emerald colour in all its beauty. 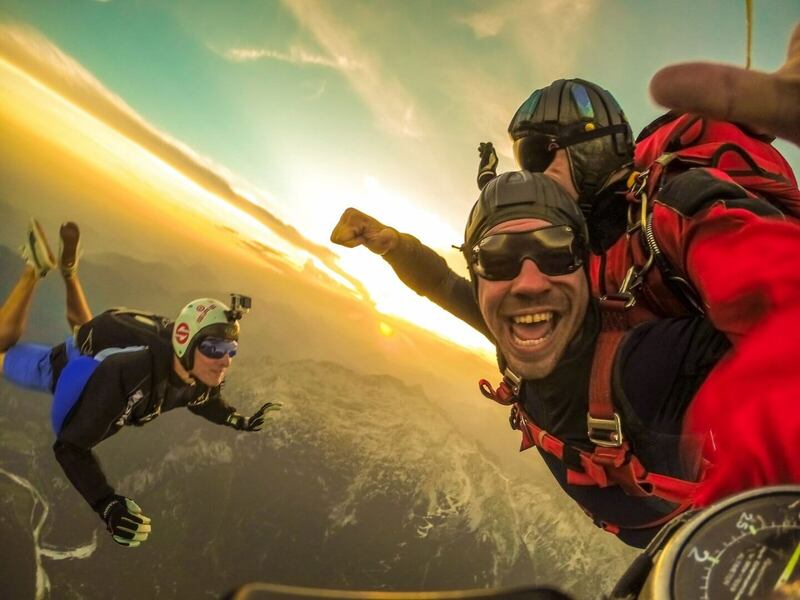 It is a unique experience you will not soon forget. 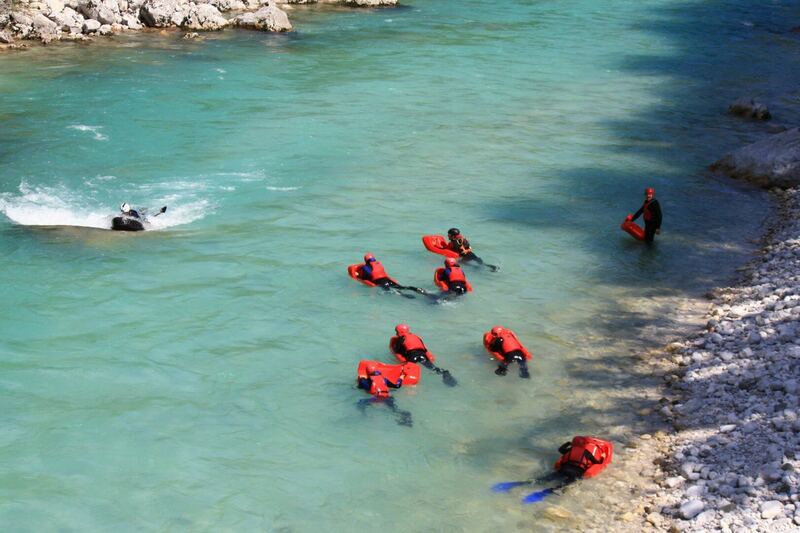 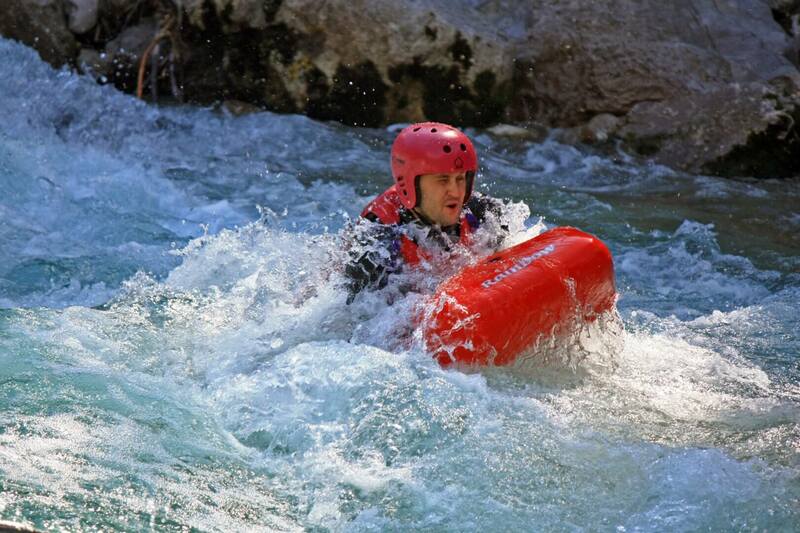 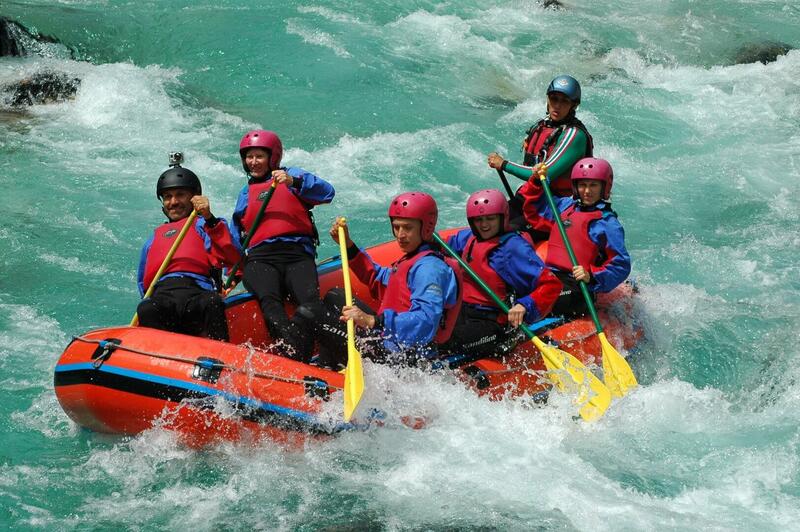 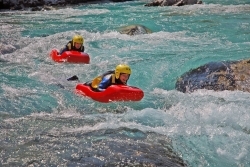 The rapids of Soča river are of different levels of difficulty and thus suitable for beginners and advanced kayakers. 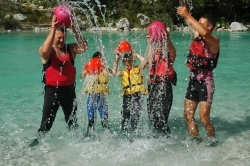 The local sport agencies offer diverse kayaking experiences for all: kayaking school for children and adults, guided kayaking trips, gear renting, etc. 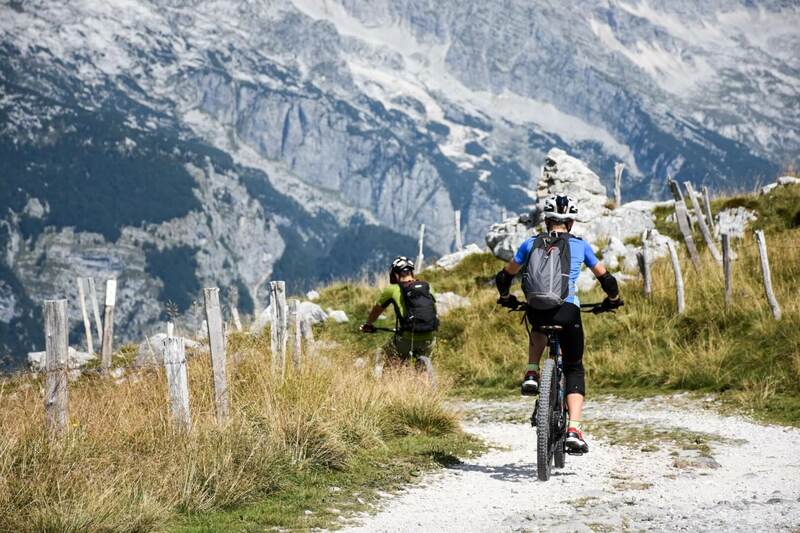 Cycle across the destination and explore all its beauty. 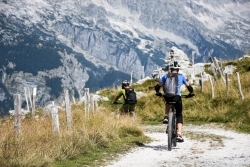 We offer you a bike rental as well. 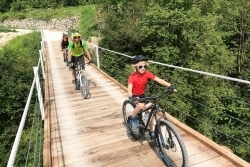 Bovec is also a starting point of many cycling trips and trails. Get to know the historical, cultural, ethnological and natural sightseeing points and trips of the beautiful emerald Soča valley. 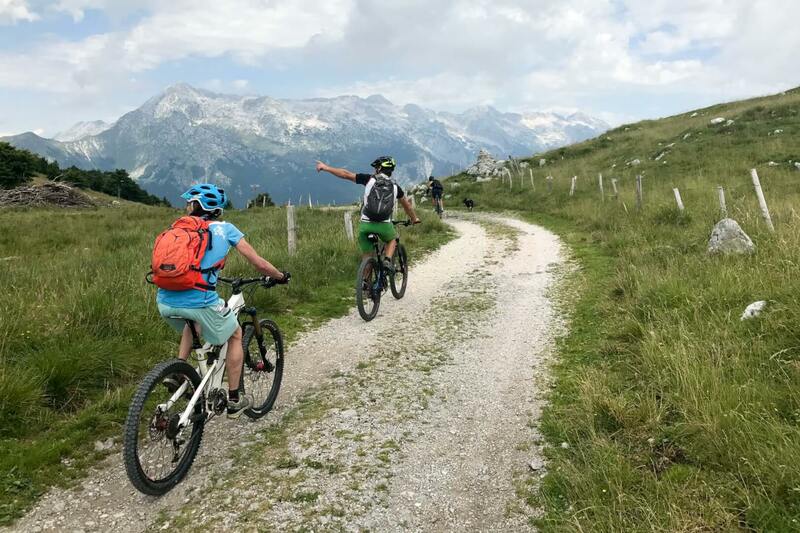 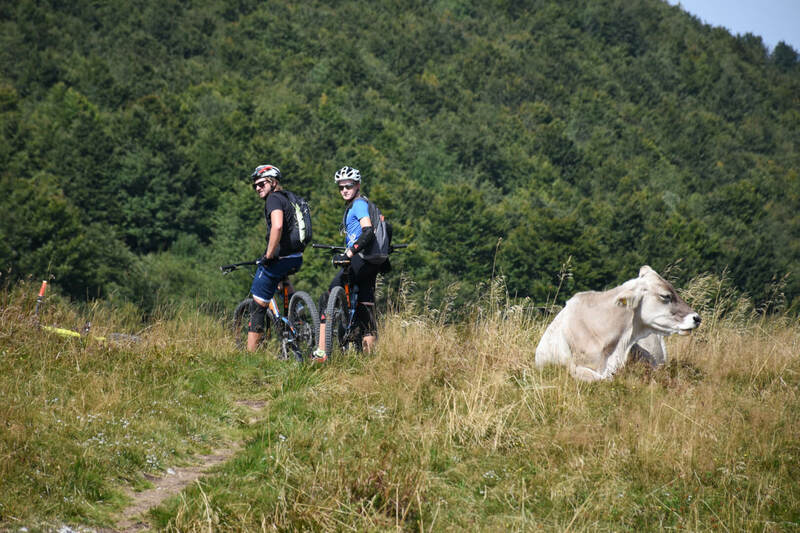 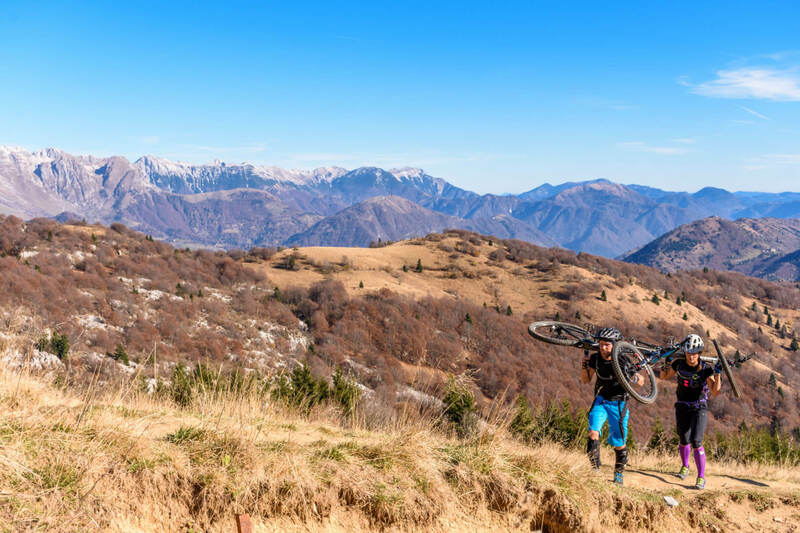 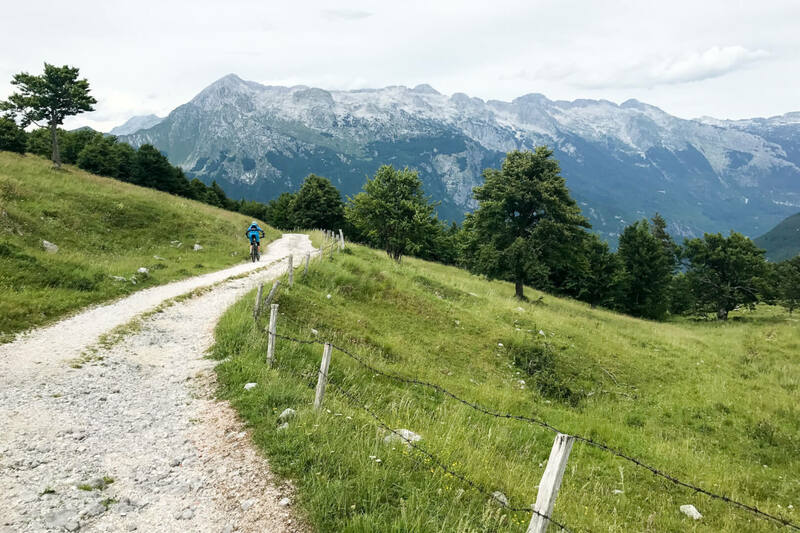 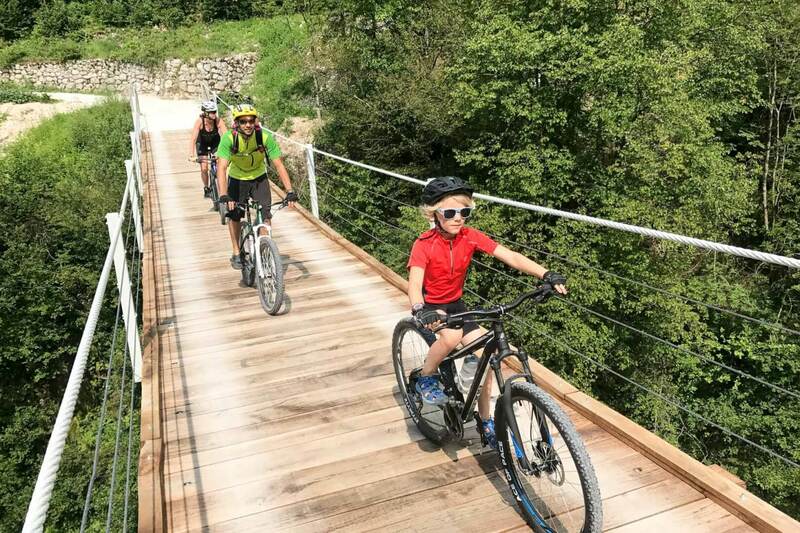 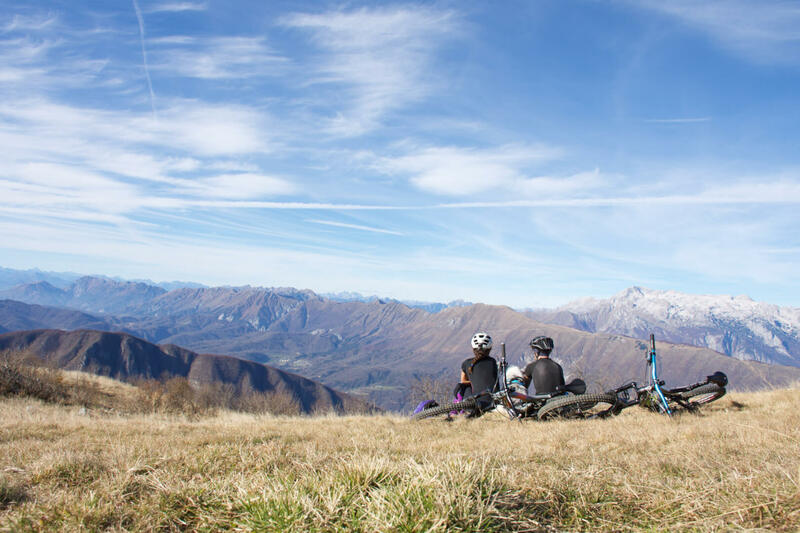 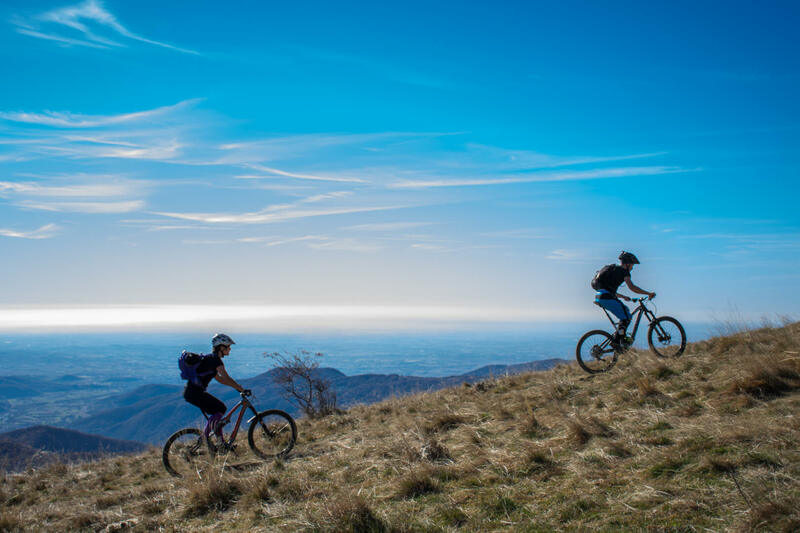 Families can choose an easy or semi demanding difficulty level trail in nearby area, while those more experienced and more demanding cyclist can choose semi or very demanding level of biking trails all the way to Trenta or even to the notorious Mangart trail. 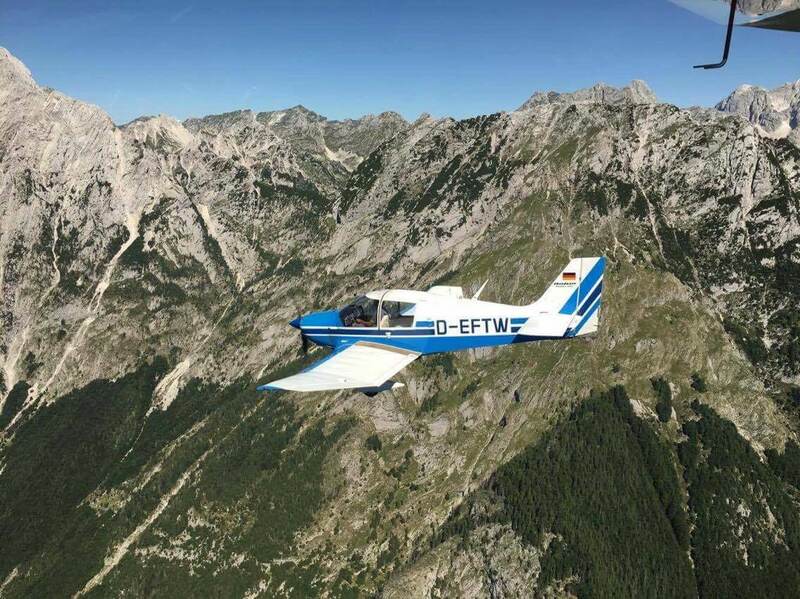 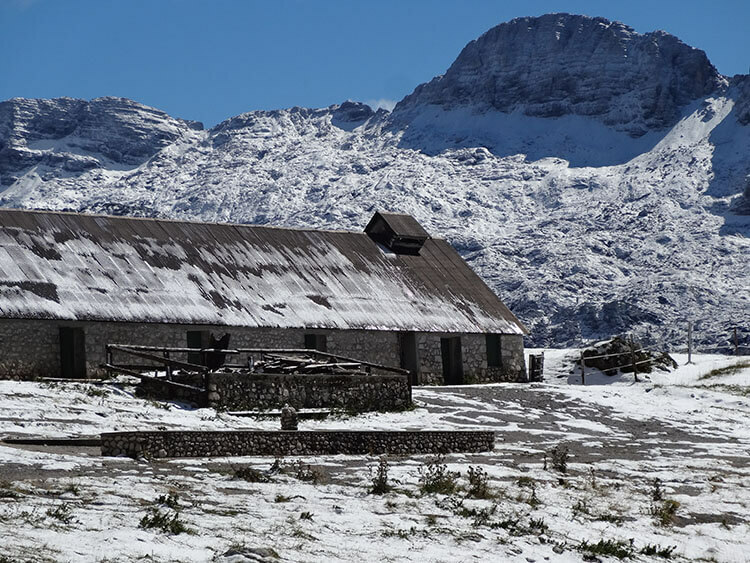 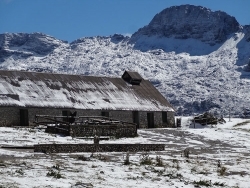 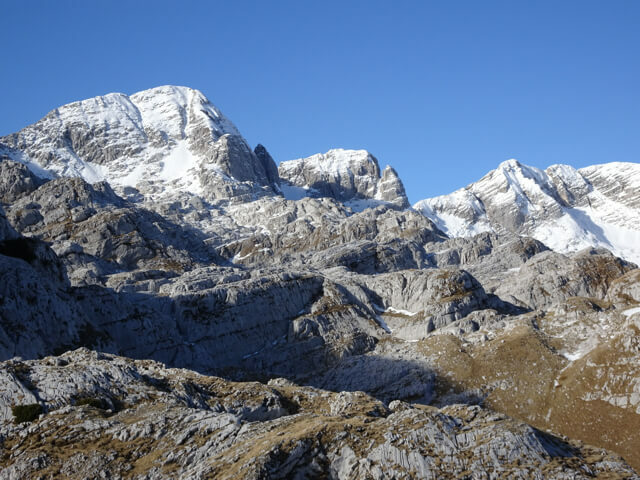 You can contact one of the local agencies guides and discover the hidden mountain pearls and beautiful sights under their wing. 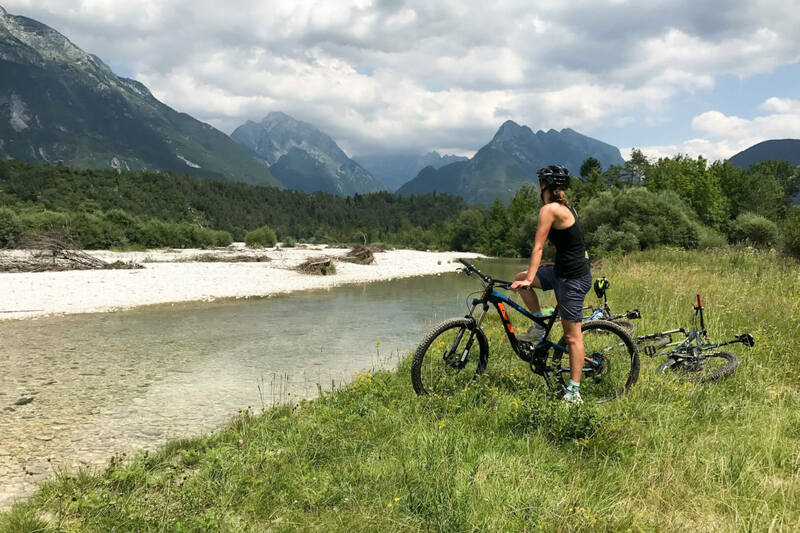 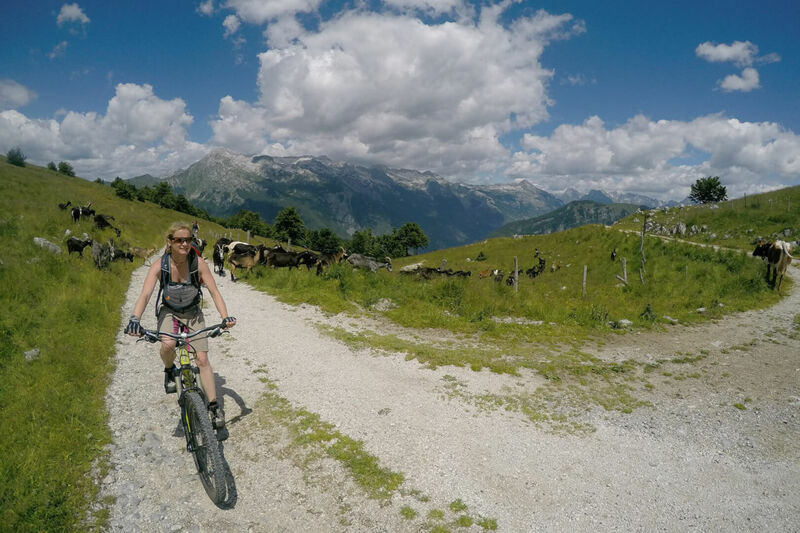 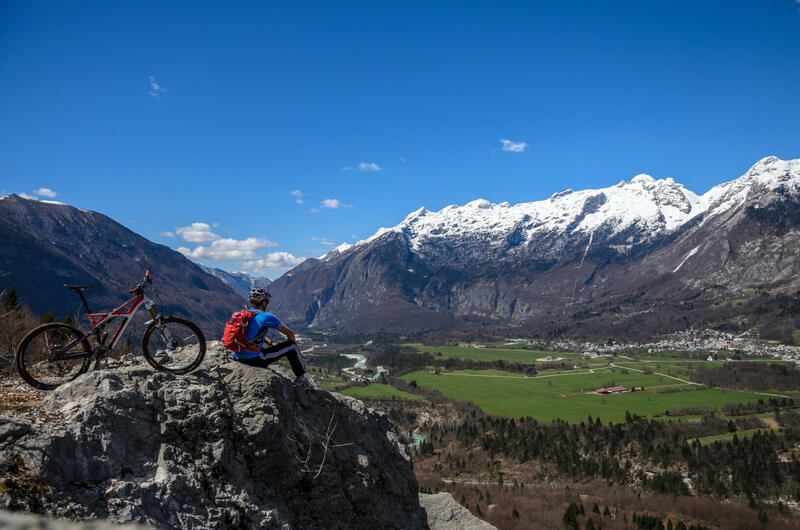 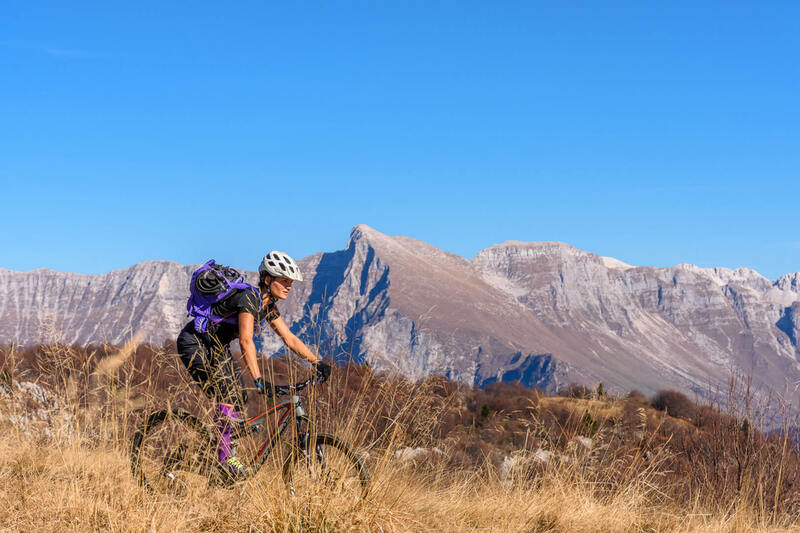 You can explore Bovec and its surrounding area even if you haven’t brought your bicycle with you. 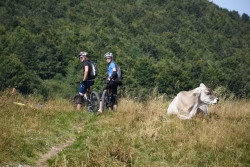 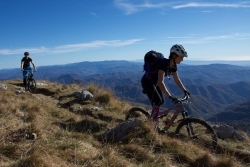 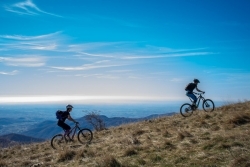 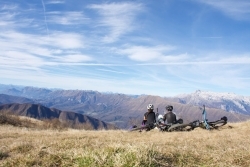 As our guest we will lend you mountain bike, while families have child bike seats at their disposal. 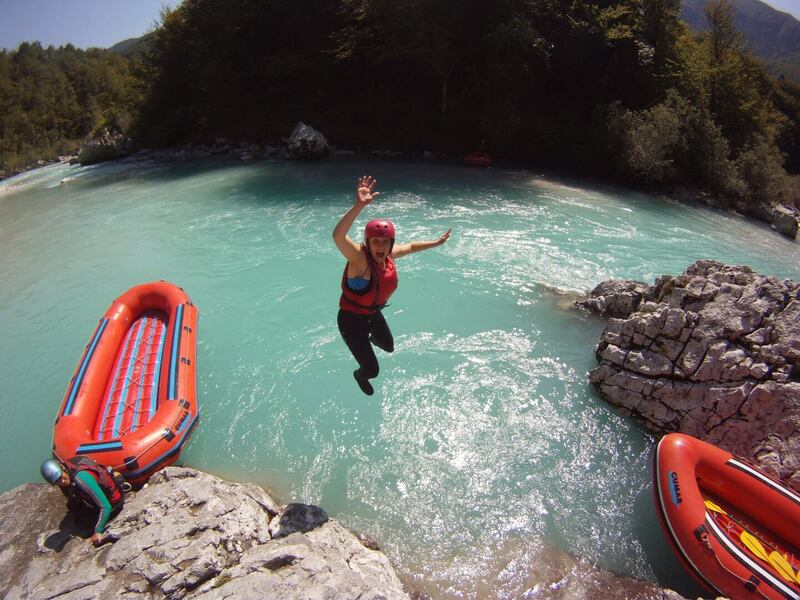 All free of charge. 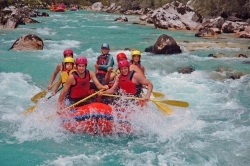 Trips to the nature are a wonderful way to spend your active vacations and we will provide you with ideas for trips and local tourism guidance. 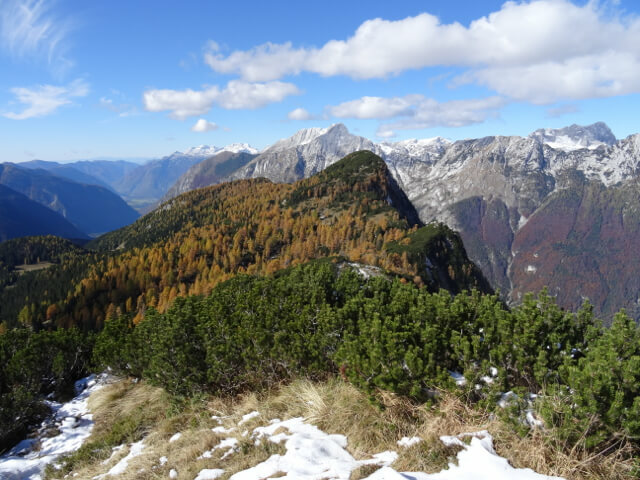 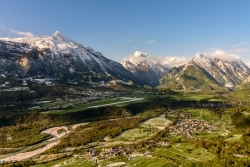 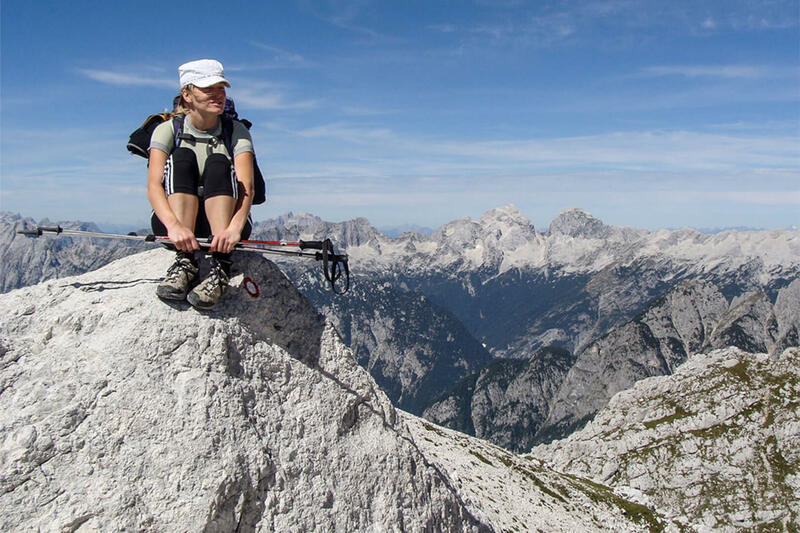 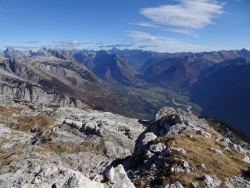 Bovec and its area boasts with numerous hiking trails suitable for short family strolls, which take you to beautiful natural sighs and many round routes, there is the famous Soča trail in Trenta valley. 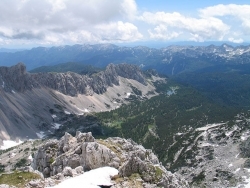 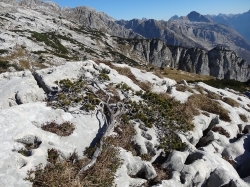 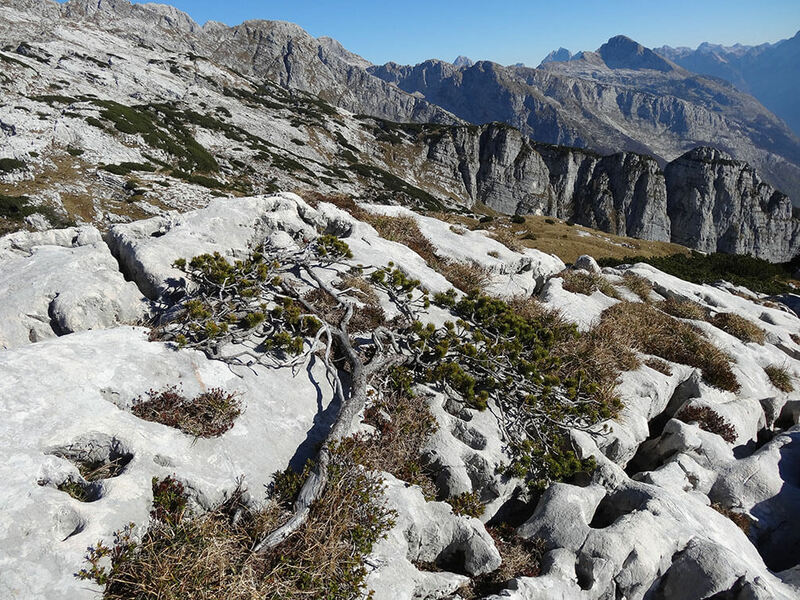 There are many opportunities for mountain hiking from easy ones suitable for families to very demanding trails. 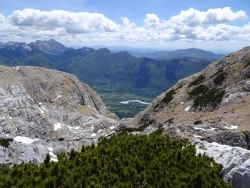 If you wish you can use the cable-car which will take you to the top of Kanin. 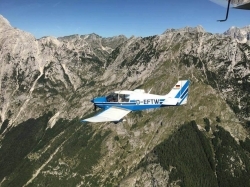 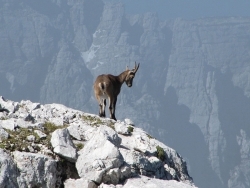 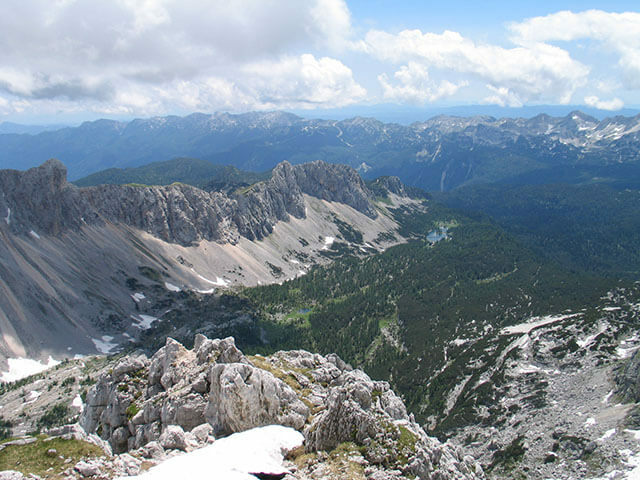 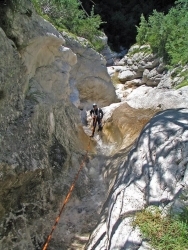 For all adrenalin driven enthusiasts, Bovec offers quite a few options in this area as well. 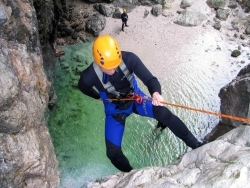 There are plenty of activities for the courageous ones who need their adrenaline dose. 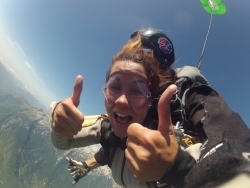 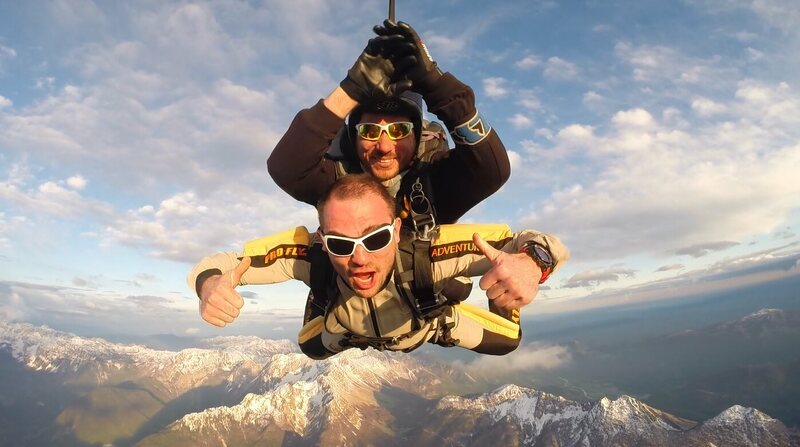 The very popular zipline is available, and, to make your adrenaline adventure complete, there is always skydiving. 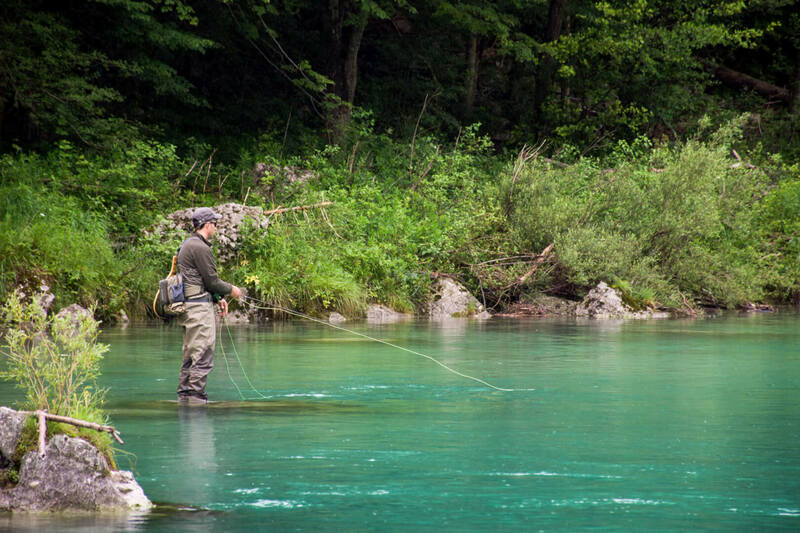 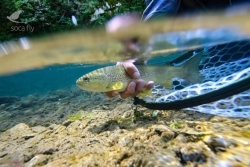 River Soča offers a great fishing possibilities, and it will astonish you with its beauty. 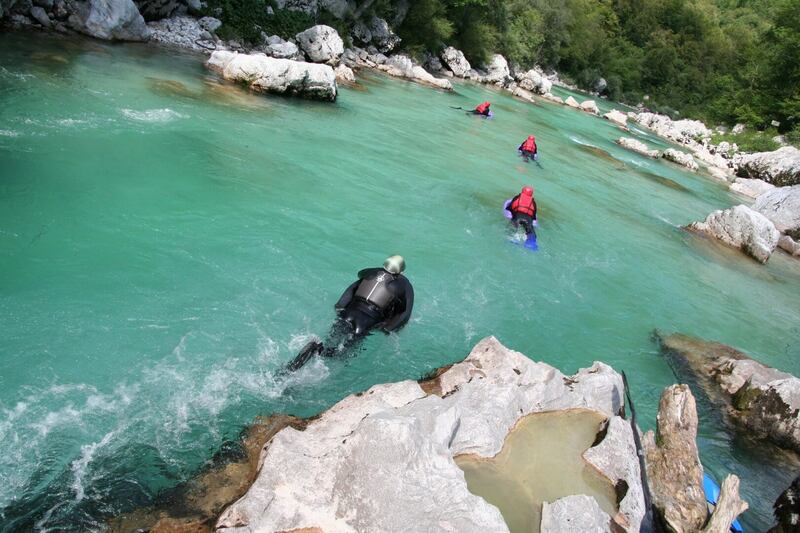 The Soča river and it affluents is said to be one of the most beautiful and best Slovenian fishing district. 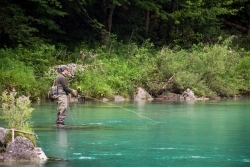 The only allowed type of fishing in the Soča river is fly-fishing. 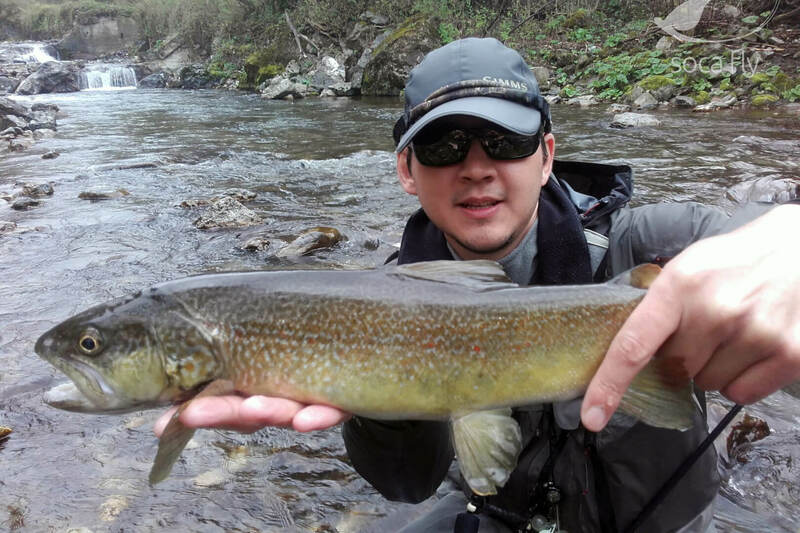 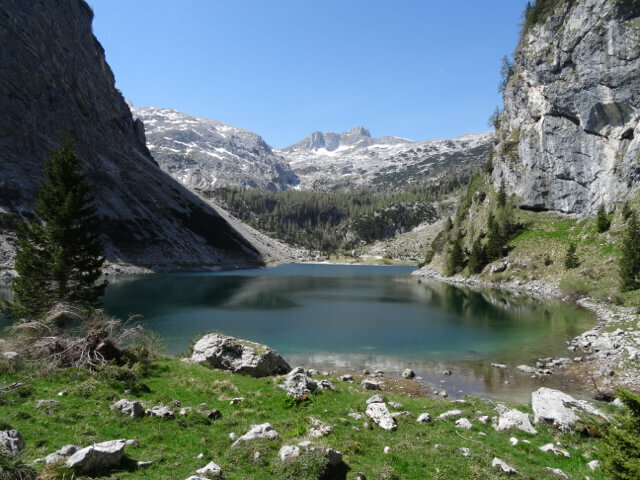 Fishermen from near and far are enthused over the notorious Soča trout, the graylings and marble trout. The fishing season lasts from the start of April to the end of October. 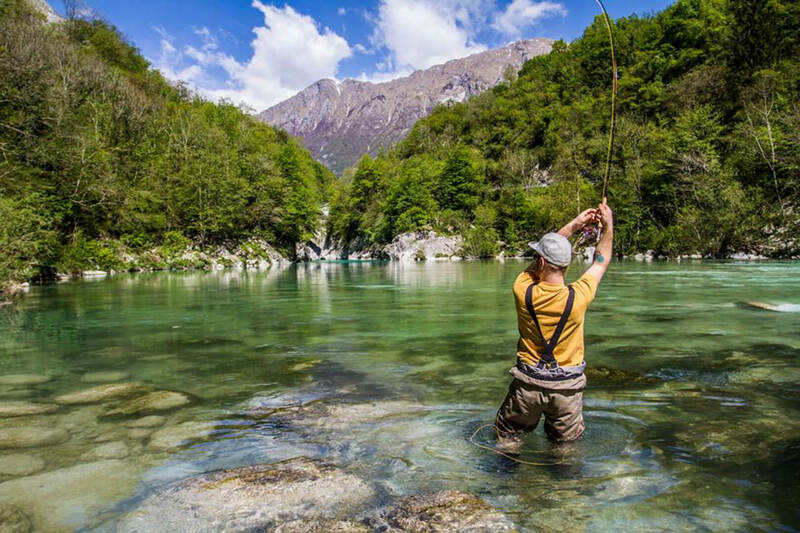 You can buy fishing permits from the Angling Club of Tolmin, for those less experienced we can provide a guide.